Julian Dashper died a year ago today. He is sadly missed. 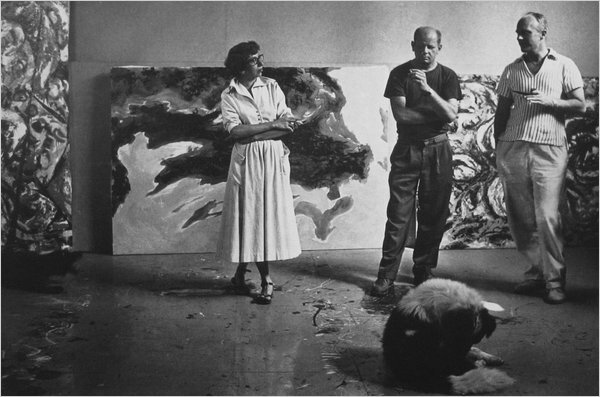 Previously unseen photographs of Jackson Pollock and Lee Krasner are about to go on display at the Pollock Krasner House and Study Centre. Taken by Pollock’s acquaintance Tony Vaccaro (better known for his WWII photographs), the shots were to be included in a Look Magazine article on East Hampton artists that never came to fruition. While Vaccaro’s colour film was lost, his black and white contact sheets remain intact. And it is from these that the photographs in the show – many of which have never been seen or printed before – were taken. Jackson and Lee, August 1953: Photographs by Tony Vaccaro, July 29 – October 30, Pollock-Krasner House and Study Center, 830 Springs-Fireplace Road, East Hampton. Tomorrow Brisbane-based artist and current Elam International Artist in Residence Jemima Wyman will be giving an artist’s talk at the Elam Lecture Theatre, 20 Whitaker Place in Auckland at 6pm. Wyman (whose work is included in this year’s Biennale of Sydney) will also be speaking at The Physics Room, 209 Tuam Street, Christchurch on August 4. 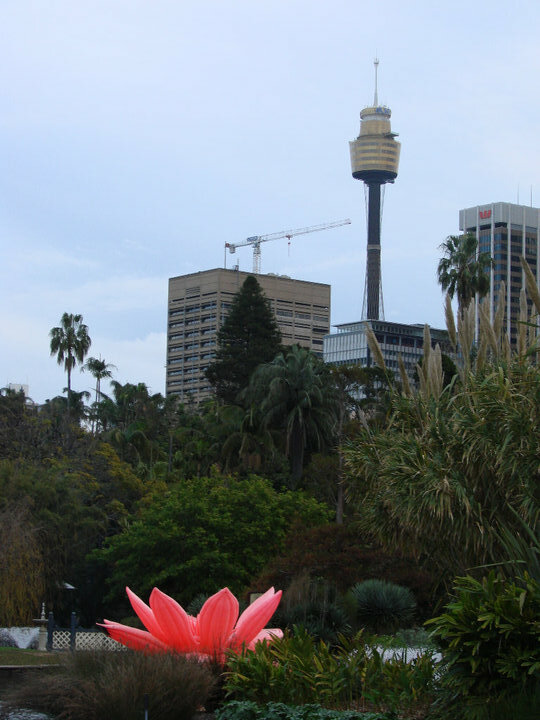 Korean artist Choi Jeong Hwa has installed a giant inflatable sculpture in the Sydney Botanic Gardens as part of the 2010 Biennale of Sydney. ‘The Unbearable Lightness of Being’ is a lurid, motorised lotus that rises and falls within one of the garden’s murky ponds. Alien in its colour and materials, the lotus reflects the artist’s belief that nature in Korea is rarely encountered, thus he explores the idea of it, rather than its actuality. In contrast to the lotus’s showy display, there are two permanent sculptures within the vicinity that offer a quite different take on nature. 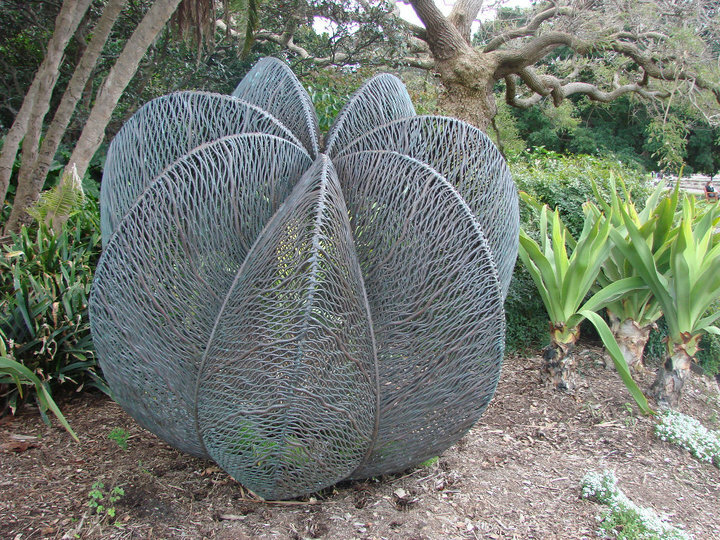 ‘Magnolia (seed)’ and ‘Palm’ by Australian sculptor Browyn Oliver were installed in the gardens in 2009. 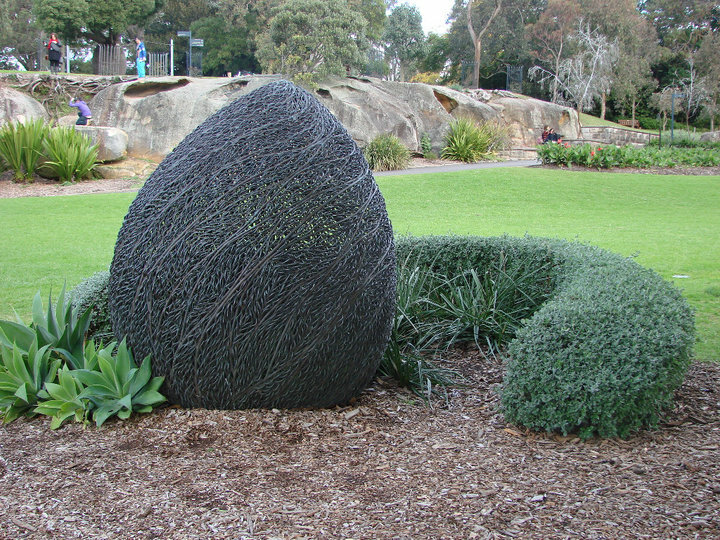 Situated adjacent to the site of the first farm in Sydney Cove, their organic shapes recall scattered seed forms. Despite being made out of copper, their seemingly delicate, webbed surfaces reflect nature’s transience and, of course, its beauty. Inevitably, these ideas are compounded when taking into account the artist’s untimely death in 2006. Because Oliver’s sculptures are nestled discretely into natural surroundings, one of their most pleasing features is not readily apparent. 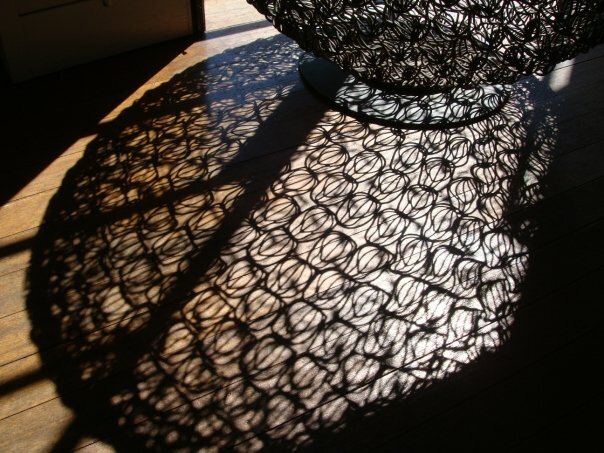 In the right light, their intricate surfaces create entrancing shadows (like those cast by ‘Lotus’, above) that in themselves recall other organic forms. While Jeong Hwa’s sculpture fits in with the spectacle of the Biennale, Oliver’s sculptures shine through with their elegant resoluteness. ‘The Unbearable Lightness of Being’ will be splashing about collecting pond slime (you’ll see) until August 1. Bronwyn Oliver’s sculptures are on permanent display, you can find them here.